That was certainly the case for Canadore television and video production graduate, Nick Vyfschaft, because he was one of the recipients of the Dan McArthur Award for In-Depth or Investigative Reporting on Who’s Watching? Ontario’s Probation System ‘a joke,’ say Offenders. 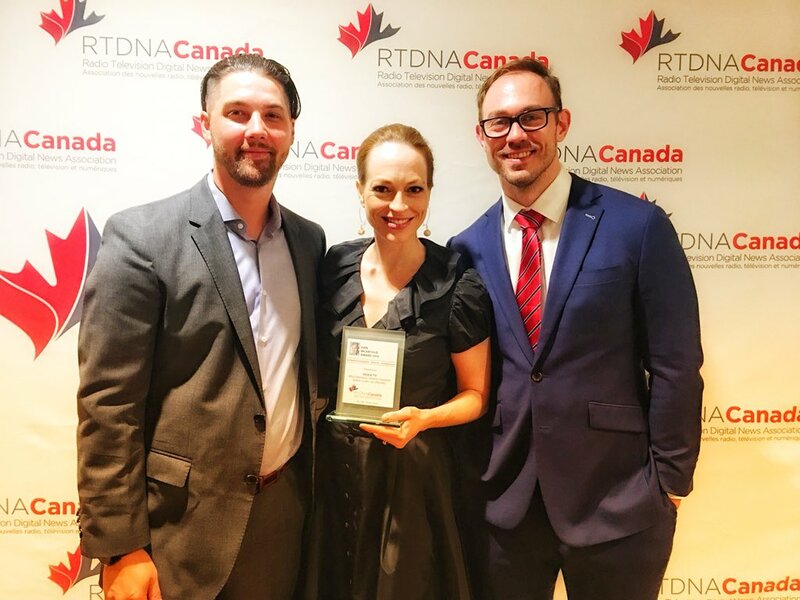 The award was given to Vyfschaft, along with two others, at the annual Radio Television Digital News Association National Conference & Awards Gala hosted in Toronto, Ont. on May 27, 2018. Vyfschaft was the camera operator for the story, and clearly his hard work has paid off. The program aired on Global TV in May 2017 and you can watch it here. You can follow Nick Vyfschaft on twitter @Vyfschaft.